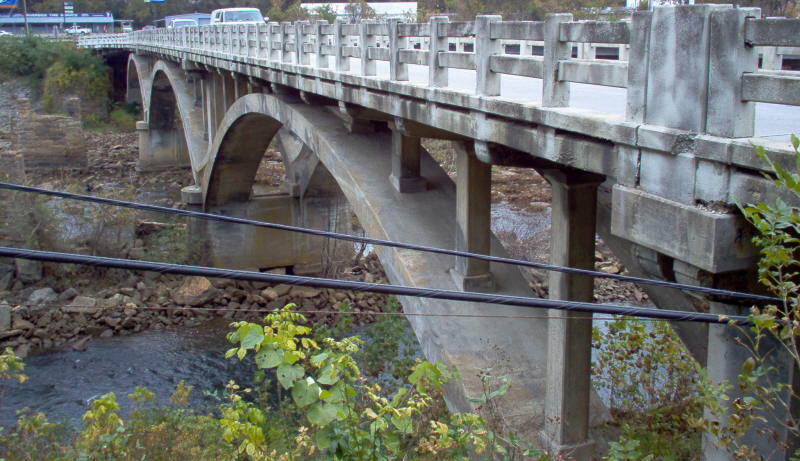 US 311 initially began where today's US 220 enters Virginia from North Carolina then veered west using today's SR 686. US 311 used today's US 220 Business through Ridgeway. US 311 used today's SR 902 Mica Rd and US 220 approaching Martinsville. 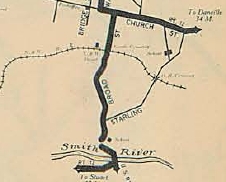 US 311 followed the general path of US 220 Business to the Smith River except it used Wilson Park Ln at the US 58 Bus Jct. US 311 crossed the river just west of the current US 220 Bus SB bridge span. 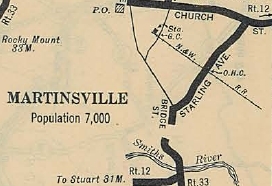 US 311's original Martinsville routing used Bridge St to Starling Ave northeast to Church St west, then one-way splits using Walnut (NB) and Bridge St (SB), then Main St and Jones St before exiting via Fayette St and today's VA 457 and VA 57. US 311 followed VA 57 to modern US 220 and may have used today's SR 993 Reed Creek Rd. US 311 appears to have followed more or less US 220 to the Rocky Mount area except it may have used SRs 755/619 loop. Approaching Rocky Mount, US 311 used US 220 Business except SR 1020 and 1023 loops. It is unclear if US 311 used 220 Business through Rocky Mount or if it veered west through the downtown area...by 1932 the route was today's 220 Business. North of Rocky Mount, US 311 followed SR 919 to Boones Mill. US 311 followed US 220 (aside from a couple abandoned loop alignments) up to the Blue Ridge Pkwy, then used SR 766 Stable Rd and SR 789 Old Rocky Mt Rd. Approaching Roanoke, US 311 used US 220 Business into downtown, ending at US 11 Campbell Ave. 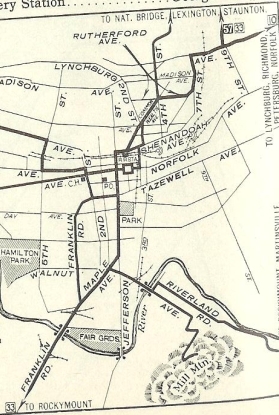 Adjustments:In 1926 or 1927, US 311 was moved to use Avenham Ave, Broadway and McClanahan to Jefferson. About 1928, US 311 was removed from SR 993, if it indeed ever used it. In 1928 or 1929, US 311 was taken off Starling Ave in Martinsville and placed on Broad St north, then Church St east. Additionally, the one-way splits were removed, with US 311 utilizing Walnut/Main/Franklin/Fayette. 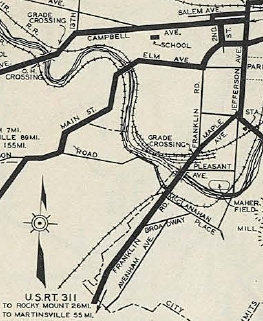 Around 1934, US 311 was rerouted in Roanoke to again use today's US 220 Business. In late 1934, US 311 in Virginia was renumbered as US 220. In July 2012 (CTB), US 311 was re-extended into Virginia from Eden, NC as an upgrade to SR 863, to end at US 58 Business in Westover a little west of Danville. Improvements: Upon designation, US 311 was fully paved from Martinsville to Edgewood and from Rocky Mount to Roanoke. Everything that was designated US 311 from 1929 onward has been paved. There are no multilane segments. Posted: Not posted as of November 2012. Comments:Original US 311 had a long VA 311 extension that ran (and still does today) from Salem through Craig County to West Virginia. US 311 and VA 311 never actually touched one another, however. Today's incarnation of US 311 is blown off by mainline US 58. I always thought this would make more sense as a US 360 extension to replace US 311 to Winston-Salem.